The FCA has told firms to make clients aware of changes to products and services that will come about after Brexit. 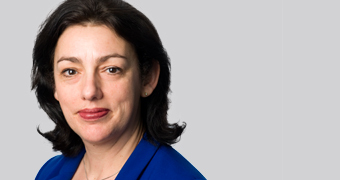 Speaking at the Third UK Brexit summit, FCA international director Nausicaa Delfas said while the regulator is preparing for all the possible scenarios, they expect individual firms to do the same. Delfas made a point firms should be communicating with customers “in a timely fashion” about any possible changes to its ability to provide services post Brexit, and if any changes may affect the customer’s products or contracts. The FCA says it is working to mitigate ‘cliff-edge’ risks by getting a high level of equivalence with EU regulation. “Of course, there is a broader solution to removing cliff-edge risks which is for both the UK and EU to commit to taking reciprocal equivalence decisions on each other’s regimes, as early as possible. “Our work to onshore the EU rulebook, in the consultation I referenced earlier, demonstrates that on day one, the UK will have the most equivalent framework to the EU of any country in the world. “We may be leaving the EU, but EU and UK financial markets will remain heavily interconnected and we need – and want – to continue to have close cooperation with our EU counterparts at European Securities and Markets Authority and at the National Competent Authorities. In October the regulator published plans for a no-deal Brexit, with proposals to convert European law into British rules from next year.